Pramit Pritam Jena, worked in the tribal village of Purulia, West Bengal with PRADAN as a part of field work for Public Policy students at National Law School. From the experience during his fieldwork, he brings to the light the daily life of people, empowerment of women collectives, sustainability of Self Help Groups and their way forward. Life in the tribal villages of Purulia (a district of West Bengal) is rustic and peaceful. At around 4:30 – 5 am, adults and children rise from slumber and set about their daily routine. The break of dawn sets into motion the typical village cacophony – cows mooing, hens cackling, and vessels clanging. The men depart for the farms, while the women form serpentine queues near the tubewell with pots and pitchers. This routine is consistently followed, which perhaps, creates a cultural divide from the urban areas. Water shortage is palpable, as is reinforced by the fact that Purulia is a notified drought-prone area. As agriculture is the chief source of subsistence, delayed monsoons set life in disarray. A deferred sowing of paddy leads to a late and poor harvest. Water harvesting structures have made life easier after the monsoons end, but the consolation only lasts till the smaller to medium sized ponds dry up in March/April. 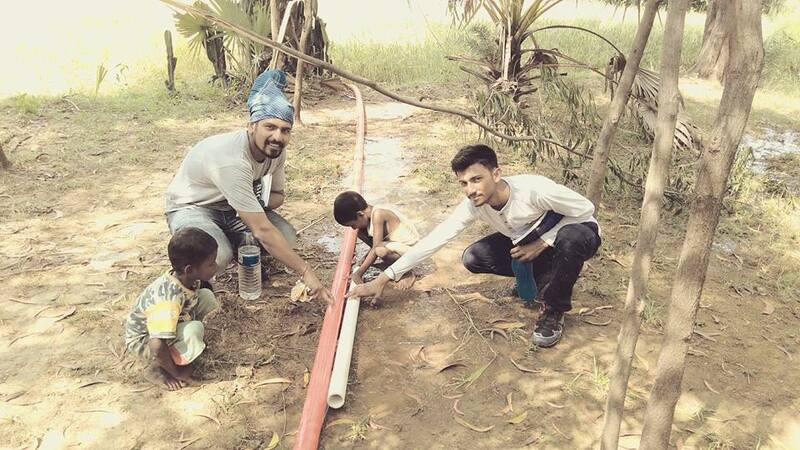 However, the villagers relate stories of the 1970s, when, in contrast, most villages had no source of drinking water. There is a visible change in villages where PRADAN has been working, according to the testimony of the rural folk. Government line departments are apparently not very effective as Project Implementing Agency. This could be attributed to the shortage of technical staff and bureaucratic lethargy. It is evident that PRADAN as an NGO is capable of fulfilling financial and physical targets, as well as establishing an emotional connect with the community. It is without a doubt that there is a contention between the local politicians and our host organisation. One of the members of an SHG, in the local MLA’s native village, recounted one incident when a PRADAN professional was apprehended by local leaders. Hundreds of women in the SHG federation rushed to the spot in support of the former. The matter was resolved once the MLA of the constituency intervened and took the perpetrators to task. Corruption is deep rooted, beginning from the highest levels of government, and percolating down to the panchayat. Funds for development work are sheared off in piecemeals as they are handed down the hierarchy, and a reduced amount reaches the works phase. Moreover, the beneficiaries are selected in a biased manner. The favourites of politicians and office holders remain at the receiving end, while the deserving look on. However, project implementation through SHGs has brought about a paradigmatic shift in the story of local self-governance. Members assert that every penny is accounted for since the transactions are carried out through transparent SHG, Gram Sabha and Aam Sabha meetings. The quality and time periods of project completion have also improved. One begins to wonder whether the key to development lies not only in the Government policy making, but in the extent to which we have been successful in tapping the potential of an organised, mobilised and empowered rural community, especially women collectives. The sustainability of SHGs to effect change is directly linked to their financial sustainability and rate of growth and maturation. Any external policy intervention to SHGs should bear this issue in mind. It is vitally important that both government and NGOs work to bear all the costs in mind of interventions to make them sustainable otherwise the SHGs will be overburdened and destined to fail. Government regulations could help manage this risk and increase the emphasis on sustainability of SHGs. There are key areas of SHG financial management that need to be improved such as internal controls, accounting, management stewardship, organisational efficiency and others. If the government were to enact policy that would regulate the quality of SHGs and tied this to their eligibility for SHG-Bank Linkage, then this would help bring about a more measured and responsible growth to the movement. Both for SHGs and SHG federations, there is a need to aspire to attain standards following the best practices. As the SHG federations are emerging as community owned microfinance institutions, there is a need for significant investment in providing institution building support. These SHG federations being bodies like corporations which are registered under an appropriate legal form must comply with the prudential and legal norms. There is a need for a well-developed third-party rating system for SHG federations before they are linked with financial institutions to act as an intermediary as they handle a large volume of funds from the bank linkage and also undertake savings from their members. There is a need for establishing a computerised Management Information System (MIS) for SHGs and SHG federations to monitor their performance on a regular basis. SHG federations must be able to publish their annual reports and share those with all their members. A suitable marketing channel has to be developed at panchayat level by state agencies. Formation of such agencies can be inculcated into programme guidelines. The cost shall be borne by the State Government. SHGs need to be encouraged to upgrade into cooperatives. In advanced stages, these groups are capable of inducing change to domestic problems due to the presence of a corpus fund, skilled manpower and experience. Finally, the role of NGOs has been critical in achieving the vision of SHG led development. 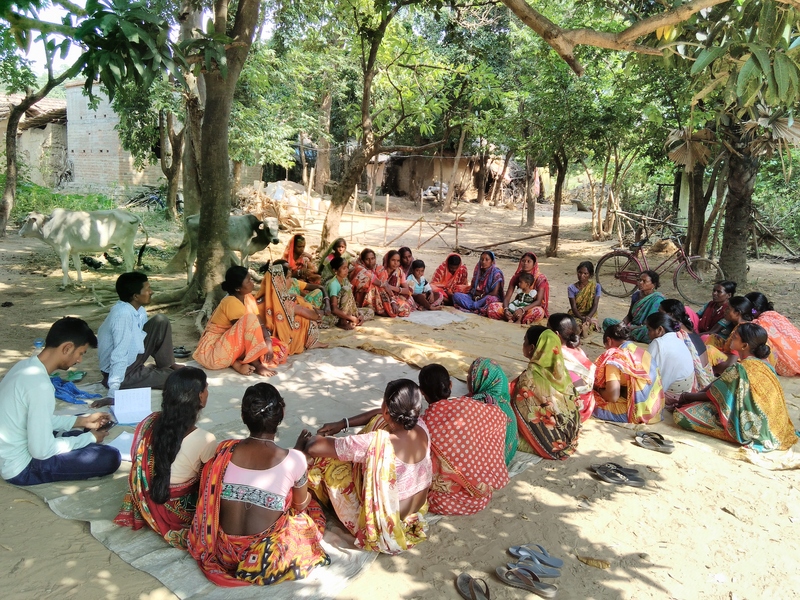 Using them as facilitators in SHG formation and guidance has to be made compulsory in programme guidelines as government line departments are unable to realise quantitative and qualitative targets due to multiple responsibilities in respective portfolios. The SHG model has to be supported through fortifying support of Government policy and guidelines in order to reach fruition.